Bragg’s Organic Apple Cider Vinegar — used for a plethora of home remedies, but when I have a blemish, it is my go-to quick pimple weapon. Here comes the fun part: the blemish is delicately lanced and immediately I pour a little bit of apple cider vinegar on a cotton ball and hold it on the open blemish and let it work its magic. This does burn—sometimes a lot—but the results are amazing. Literally, the next morning that ugly pimple will be dried up and out of my life! If you have severe acne, there is obviously something internal going amok, but it is supposed to be beneficial for that as well—you can drink this stuff, but I warn you its not easy going down unless you dilute it with water and add a little honey. Purchase at any health food store and sometimes you’re typical health-forward grocery will carry it as well, and of course you can buy it at Bragg.com ($3.29 for 16 oz). Can be used for cleaning, cooking, externally for blemishes and internally for health. I keep it refrigerated. Desert Essence Thoroughly Clean Face Wash – Trader Joe’s carries this product if you’re lucky enough to live near one, but you can also buy it online ($14 for 32 oz) or in your local health food store—they’ve recently changed their packaging so don’t be discouraged when you see the old packaging on Amazon, it’s still the same product. If I’m traveling, I just use Dr. Bronner’s Magic Soap, which works just as fabulously. During the winter, you might switch to this Desert Essence formula because its less drying, but for now, I’ve just been adding a little more moisturizer. 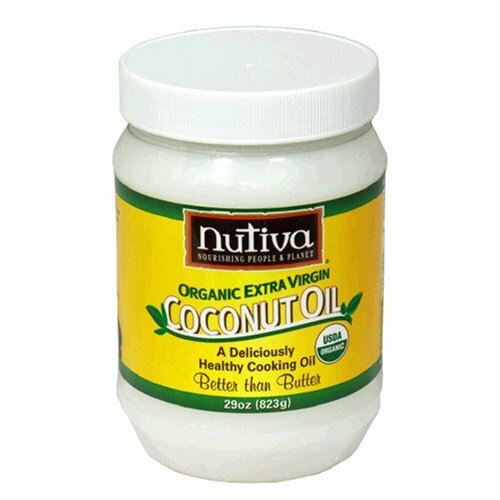 Nutiva Coconut Oil — It is certified organic, extra-virgin coconut oil. It will feel a bit greasy at first compared to your typical face lotion, so allow your skin to absorb it a bit before applying makeup. You can purchase it on Amazon.com ($11 for 15 oz). Got eczema or dry skin? Coconut oil works great for many skin ailments. I’ve even used it on scrapes and let the anti-bacterial properties work their magic! Don’t forget to throw a bit of that skin-plumping goodness in the baking bowl as well. Coconut oil is one of the BEST oils to cook with or to just spread on toast. With a long shelf life and a melting point of 76 degrees, coconut oil makes a great oil for baking and cooking (even at high-temperatures) because it is slow to turn rancid—and delicious. I’ll write more later on the wondrous benefits of coconut oil as well as some decadent recipes! Stay tuned, in my next all-natural beauty post I’ll introduce you to my husband’s skin and shaving secrets and how to combat and prevent ingrown-hair blemishes on a gentleman’s face after shaving! Do you use any of these products in your daily skin-care regime? What all-natural products are you currently using? Any that you absolutely hated? I really like redmond clay. I had a boil type abcess once and I used the clay and it drew out the infection pronto, it was awesome! Also, if my skin is feeling really dry I like to put 100% aloe vera on it sometimes its hard to find aloe with no added ingredients. Ive just recently discovered California baby products and LOVE them. Im hooked! I’ll have to try Redmond clay—it sounds like it’d be perfect for drying out imperfections. Great tip! Vinegar is a great one for blemishes. Another one I’ve found that really helps is straight tea tree oil. I just put it directly on the blemish and wha la! 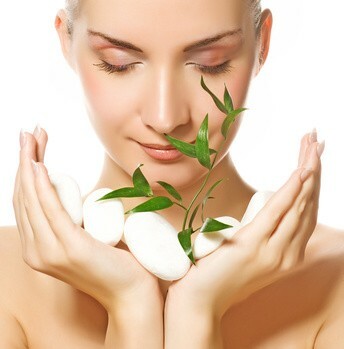 I also occasionally use pure tea tree oil—thanks for the tip!